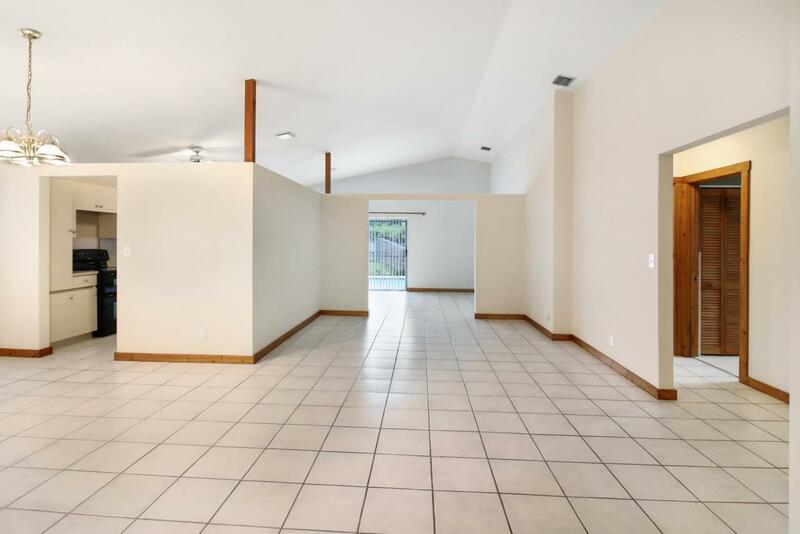 Pool home in heart of Davie. This home is nestled on a cul-de-sac lot with fruit trees, a fenced yard, and screened, heated pool.The stacked floor plan offers space for both a formal dining room and dine-in kitchen. 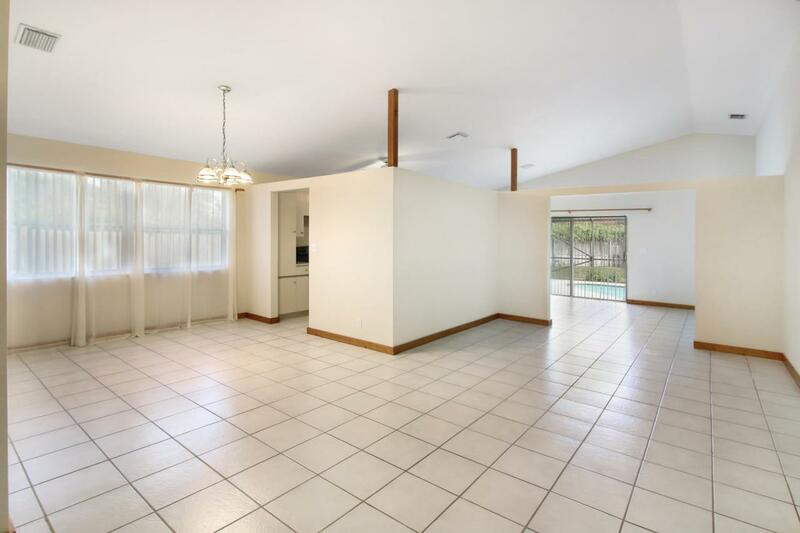 The living room has vaulted, smooth ceilings and tile throughout. No carpet in this home! Floors are easy to maintain with the central vacuum system.There is a single car garage converted for utility. Water heater is from 2018. The AC unit is from 2009. 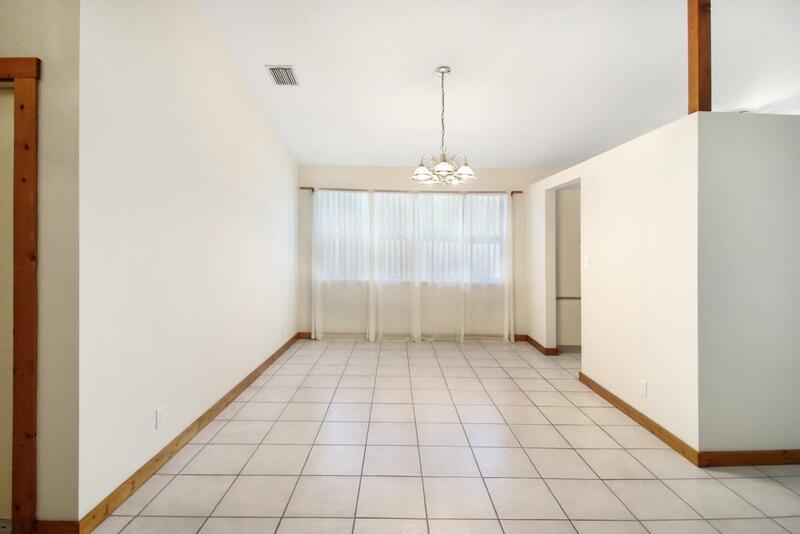 Roof is from 1995.The owner worked with the builder to create their ideal space- now it can be yours! Listing provided courtesy of Blue Realty Team, Llc.